The CureSearch Walk is coming! Have you registered yet? Are you overwhelmed with the thought of starting a team? Don’t be overwhelmed! Whether you start your own team or join someone else’s, we just want you to be there! September 28th will be an amazing day, celebrating the fighters and survivors and remembering those who have passed away. There will be food and lots of fun activities for the kids to enjoy! It’s only $10 to register per adult and kids are free. The $10 goes toward your fundraising balance. If you need help registering, just contact me and I’ll help you! You won’t want to miss this! 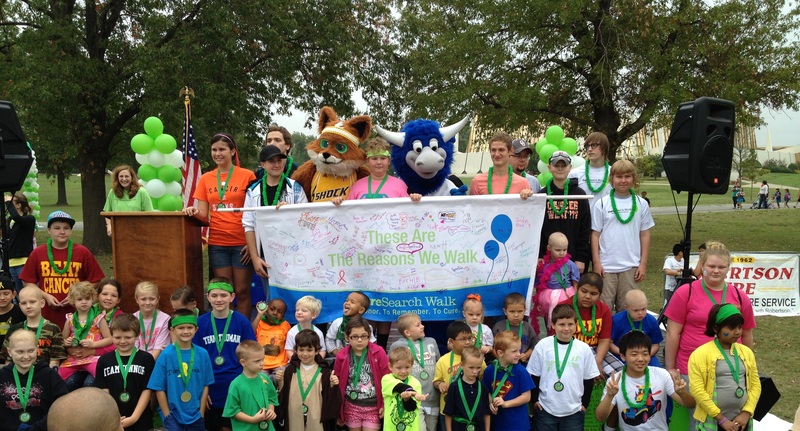 Sign up now at www.curesearchwalk.org/Tulsa!